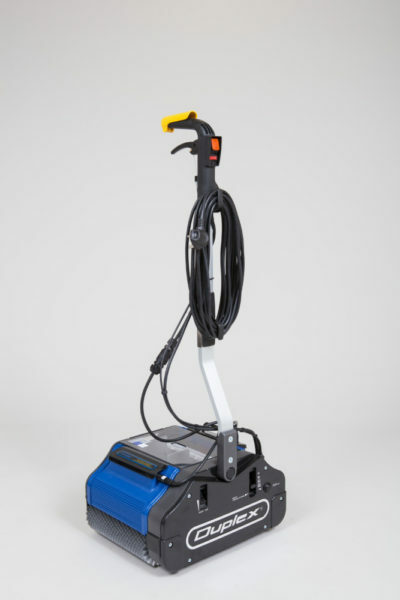 The Duplex 420 Floor Steam Cleaner model, with a cleaning width of 420 mm (16″), gives ‘right to the edge’ cleaning, combining brush agitation and steam on all floor surfaces, alongside walls and into corners. 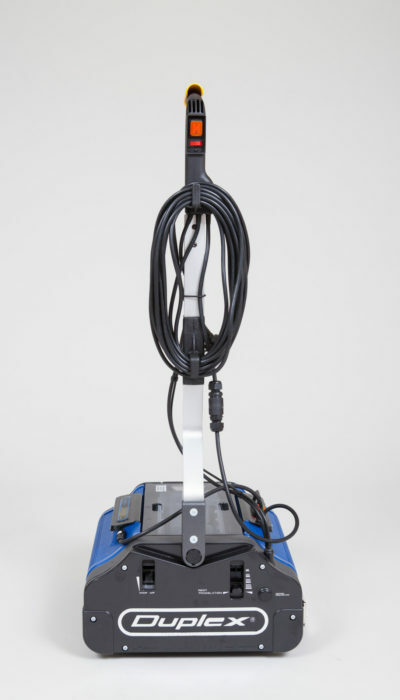 Steam floor cleaners, like the Duplex 420/Steam clean without the need for aggressive or toxic chemicals. 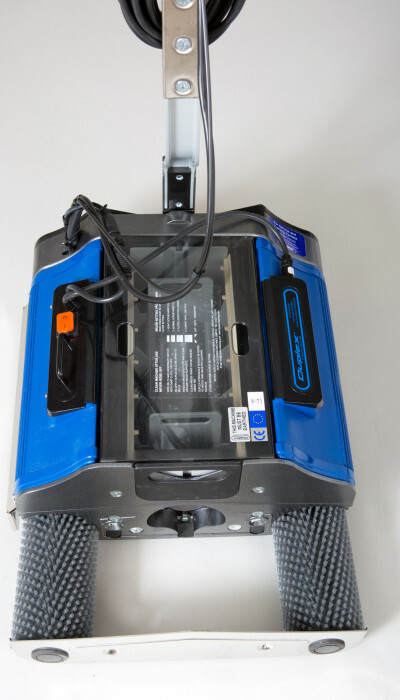 This makes the use of steam floor cleaning equipment extremely ecologically friendly and economically viable. Used widely but not exclusively in the care home sector, veterinary practices and schools. The machine is also supplied with the standard fluid tanks, allowing it to be used in steam or standard cleaning mode as required. 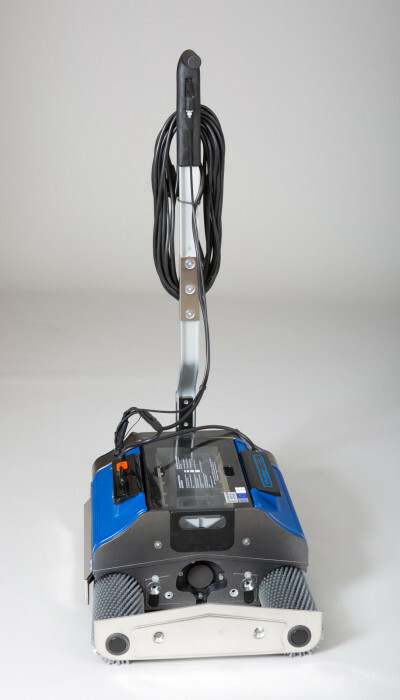 A range of different brush types to suit different types of flooring are available and unlike some other machines on the market, brush changing is extremely easy. 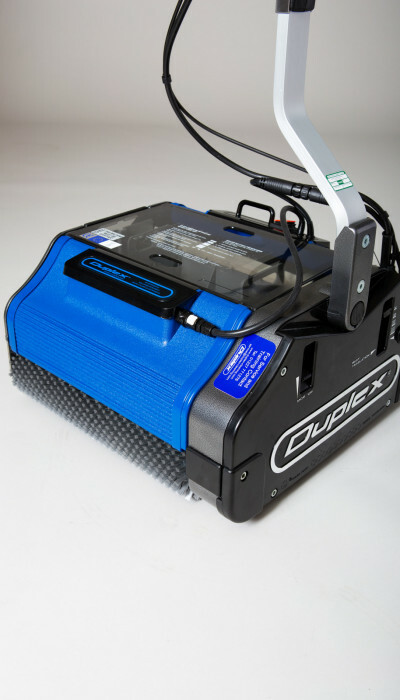 The Duplex 420 Floor Steam Cleaner is effective for cleaning carpets, Polysafe, Altro, Marley, Tarkett, Flotex, Timbersafe, carpet tiles, non-slip safety flooring, safety non-slip resin floors, sports anti-injury floors and many more. The cylindrical brushes on the Duplex 420/Steam comprise of thousands of bristles inserted diagonally across the complete width of each brush which rotates at 600 rpm. The brushes which contra-rotate lift dirt, water and grime from the floor surface leaving it steam cleaned, sanitised and dry. 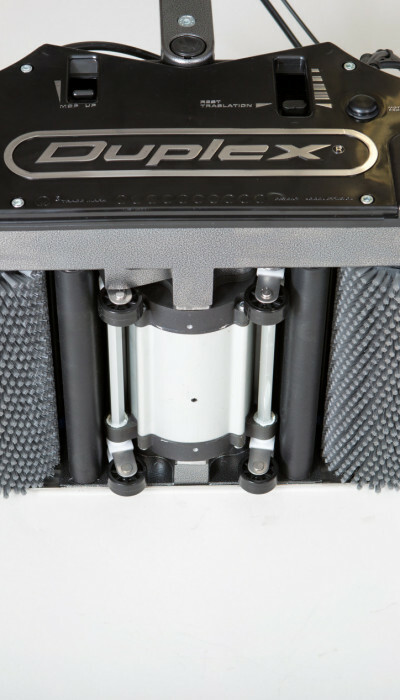 The Duplex 420/Steam is unique in that it washes, mops, scrubs, dries and can also polish and disinfect all floor surfaces. The exceptional ease of use with no lifting and bi-directional operation makes the Duplex 420/Steam a pleasure to use even in the most challenging of environments. UK customers purchasing these products are rewarded through the Enhanced Capital Allowance (ECA) scheme and with it’s exceptionally low water use (2.5L per hour) there is no need to carry heavy water to and fro.